On display at Museo Correr is an outstanding nucleus of 110 highly refined drawings from one of the most important private French collections: the Louis-Antoine and Véronique Prat Collection, which includes all the great masters from the seventeenth to the nineteenth century, from Poussin and Callot to Seurat and Cézanne. Started over forty years ago, without a doubt the Prat Collection is one of the most important private European collections of ancient drawings. 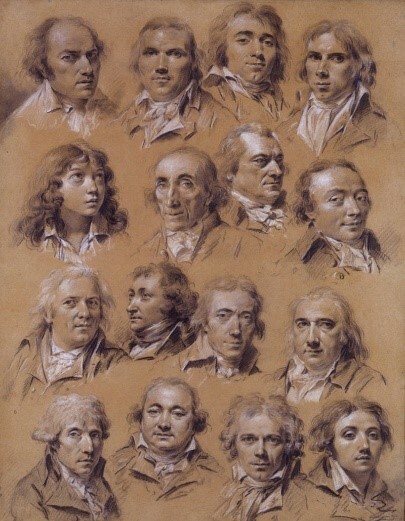 From the perspective of art history studies, drawing is thus confirmed as one of the highest expressions that an artist can leave behind as testimony of his work. The exhibition was prepared with the collaboration of Fondation Bemberg of Tolosa, the support of Alliance Française-Venezia and curated by Pierre Rosenberg, former director of the Louvre and the greatest expert in the field of French drawings of that period. 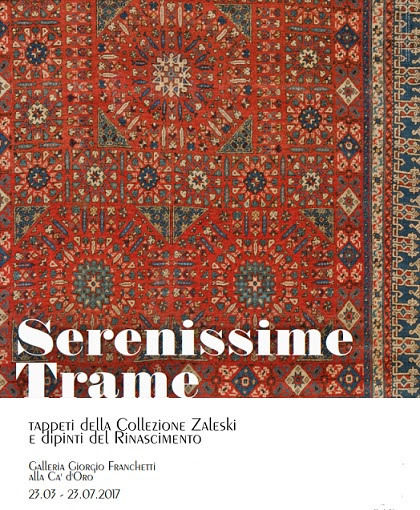 Zaleski rugs collection and Renaissance paintings. Promoted by Polo Museale del Veneto and Fondazione Tassara, the exhibition focuses on three main themes: rugs, painting and collecting. Curated by Claudia Cremonini, Moshe Tabibnia, Giovanni Valagussa, the exhibition will also be the occasion to show for the first time in public three ancient oriental rugs from baron Giorgio Franchetti’s collection, who donated them with the rest of his art collection to the Italian state in 1916. The exhibition shows 26 rugs from one of the most complete collection of precious tapestry from the 15th and 16th Century, with incredible fabrics and colors and most representative of the models that arrived in Venice through the trade routes from the East. The rugs are accompanied by Renaissance paintings influenced by the venetian culture, like works by Carpaccio, Vincenzo Foppa and Dosso Dossi. These artists included the rugs into sacred and profane representations, giving them strong symbolic references. To celebrate 150 years after the death of Maximilian the First, Castello di Miramare opens an exhibition of the most important collection of precious objects, ceramics and paintings collected by the emperor all along his travels. The exhibition gives an overview on the complex and fascinating relationship between Asian cultures and Italy and Europe. 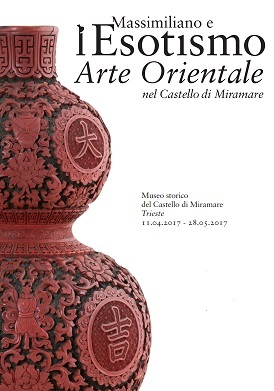 Curated by the director of the Historic Museum of Castello di Miramare, Rossella Fabiani, and by Francesco Morena, the exhibition shows more than 100 works from the Middle East, India, China and Japan, that help analyzing Maximilian the First’s personality and his passion for the oriental cultures and travels. Even the Castle shows rooms influenced by this love for Asia, like the Chinese Living Room with its fabric-decorated walls or the Japanese Living Room with its bright colors. Casa dei Tre Oci of Venice will host, the surreal, extravagant and pop universe of the artist David LaChapelle, one of the most important and desecrating photographers of our times. The exposition, organized by Fondazione di Venezia and Civita Tre Venezie, is curated by Reiner Opoku and Denis Curt, presenting over 100 images retracing the career of the American artist. The exposition is the first monographical of the artist in Venice, and presents the global preview of New World, a new series of 11 photographies that mark the return to the human figure through themes such as the representation of the paradise, joy, nature and the soul. On Monday, April 10 at 5 pm there will be a preview meeting with David LaChapelle, introduced by Alberto Ferlenga and Angela Vettese, at the Aula Magna Tolentini (IUAV University, S. Croce 191). The entrance for the meeting is free until seats run out. Venetian gallery ABOUT (see map). 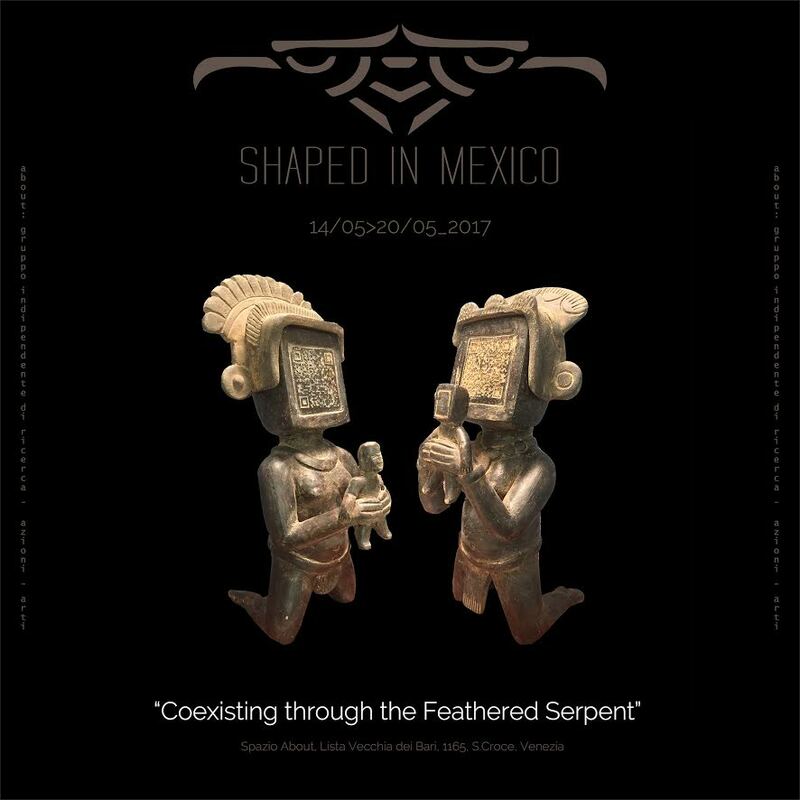 Shaped in Mexico is a collaborative project among 16 artists that focuses on re-creating the pre-Columbian Feathered Serpent inside the walls of the gallery ABOUT in Venice, through many colorful paintings and artworks. The 16 artists will introduce the public to the Mexican contemporary artistic identity, eriched by the multiples creative sources, folklore, traditions and complex natural environment of this wonderful Country. Info: Giorgio Franchetti alla Ca’ D’oro Gallery (see map). Didactic Laboratory for 6-10 y. o. children to learn about the art of weaving and exhibition entrance for the families. WorkExperience – The students meet restoration. Presentation of a training project and visit to the Museum laboratory where the restoration of ancient frames from the Franchetti collection is still ongoing. Curated by the “Istituto Veneto per i Beni Culturali”. by Francesca Fiorentino – Gallery Moshe Tabibnia Research Center. Guided tour to the exhibition curated by the students of the Liceo Artistico Statale “Michelangelo Guggenheim” of Venezia.